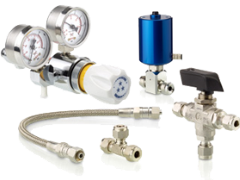 Whether it's a mass flow controller, a shutoff valve, a pressure regulator or an entire custom gas panel, we can assist you in your projects. We've handled major gas delivery blender projects and custom production systems in the past. We have Switzerland's largest installed base of advanced instrumentation for High Energy Particle physics and related science. If you're a physicist working around a beamline, talk to us, we have hundreds of products to propose. Kelvin Probes are not new to surface science, but the list of applications they can address keeps widening in a very dynamic manner. World's leading device used to measure work function (wf) or surface potential (sp). Over 3000 vacuum componets in KF-ISO-CF standards. 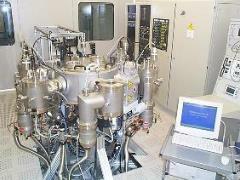 Quartz crytal deposition controllers, PVD sources & complete coating systems. 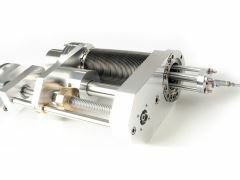 We also propose consumables and spares for vacuum and thin films applications. CryoLab MSG - 75 K in 30 minutes without LN2! 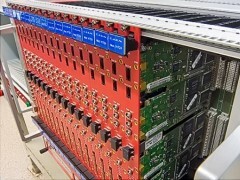 Plug-and-play cooling platform designed for rapid SQUID or superconducting film characterisation measurements down to 75 K in fully automated manner. xtronix is a diversified technology supplier to academic and government research, corporate R&D and hi-tech industry. Our customers are in some 40 countries of Europe, the Americas, Asia, Middle East and South Africa. And by proxy of our OEM private labeling activity we reach markets around the globe. Wenn Sie beim Anwählen der auf diesem Webportal eingefügten Links jeweils die Seite von X-TRONIX AG, Schweiz, verlassen Sie damit unseren Zuständigkeitsbereich. Die gelinkten Seiten besitzen eigene Nutzungsbestimmungen und unterliegen möglicherweise anderen Gesetzgebungen und Standards. Lorsque vous activez un des liens proposé sur le site Internet de X-TRONIX SA, Suisse, vous quitterez notre site et par conséquent notre domaine de responsabilité. Les pages vers lesquelles renvoie ces liens ont leurs propres conditions d’utilisation et sont sans doute soumises à d’autres normes et législations. Currently we are not on all the more popular social networks but you can follow us on Linked-In or click the RSS icon to view our SciTech blog. Copyright 2013-19 © X-TRONIX LTD / Switzerland. All Rights Reserved.